"I was matched with Guido when I signed up for the app used by his company, "@properties." You never know how such a match will work, but this was a great connection for me. We went out for two days, and Guido quickly learned my likes. He persisted to get me viewings of properties within the limited time I had available while in town. And when a property came up after I left, he quickly arranged to tour with me through a video connection. In terms of negotiations, I thought he was on my side, and also thought of creative solutions. I am very happy to know Guido and recommend him highly." "Guido and his team are outstanding. Start to finish in just two weeks, with no hassles to me. They went above and beyond to make sure everything went smoothly for me. I highly recommend Guido." "I was looking to rent out my one-bedroom, one-bathroom condo unit at a very difficult time of year -- the dead of winter in what's normally a low-rental market. Guido did a great job of helping me get my place prepared for rent, connecting me with good applicants and keeping me updated on the status of various applicants and showings. Guido responded immediately to my calls, texts, and emails, even though I sent a lot of them in non-business times (evenings and weekends). This is the second time I've worked with Guido and both times we've found great tenants." "Guido, did an amazing job helping me find my home. We looked for two years and he was just as attentive as day 1. He is very knowledgeable about processes and programs being offered to home buyers. I would recommend him to anyone." "Guido was a great, personable real estate agent! He was quick to show us properties and was very patient throughout the whole process. When responding to our multitude of questions, he always explained things thoroughly and in a way we would understand. He also never rushed us or was pushy about making a decision. I highly recommend Guido!" "Guido was very knowledgeable, and never pushy. He was friendly and patient with us when we were still deciding exactly what types of properties and budgets we were working with. He was reassuring when a deal we were excited about fell through. Almost magically the deal eventually ended up working out in our favor. Guido gave us advice on an opening bid, and did not give us any hesitations when we went in lower than that. He read the seller well, which helped us negotiate a price we were very happy with. He has a great team of people behind him from contractors to cleaners. He seemed to have good resources and answers to every question we asked. His communication is great, and he was always quick to respond." "I found a great condo in river north through Guido. He gave me a lot of attention during my search and responded to all my questions in a timely manner. He worked with the sellers agent to come to an agreeable amount that I was happy with. I would definitely recommend using Guido!" "Guido is an outstanding realtor. He kept me informed throughout the process of my home listing he handled for me. He guided me throughout the entire process. From the time he received the listing, he promptly picked up the keys from me and then gave me some suggestions to help us accomplish our goal. I took his advice and once the initial work was completed, he immediately listed the property. He answered all of my questions and I had no worries with him and he made sure I was completely satisfied with his services ... (I was/am). I could not have done this without his guidance and professionalism. He is honest and even offered me advice for the future, relating to my property. I would definitely use him again and have already referred him to some of my friends and colleagues." "Guido is very helpful, responsive and patient. I would recommend him to anyone who asks me. He was very organized and prompt when I need assistance during my home search. I am still searching for a home and will be contacting Guido in the future to secure my conventional loan. Jessica Hartt"
"He has a great service ability and very good at dealing with problems. I'm very please with his ability to help me solve problem and make sure that I received the best service. I would definitely recommended him to anyone that want to refinance or getting loans. You won't definitely not disappointed !!!!" "Let’s just say Guido was top notch and went above and beyond his duty as a realtor. He was so much help through the whole process. He knows exactly what I’m looking for in a property. Also is very knowledgeable on many types of properties. He is full service.. Thanks Guido for all your help in my business." "Guido was great! With his help we were able to get our place sold within an hour after having it listed!" "Guido is a fantastic real state professional, with deep knowledge of the city and great understanding of the buy/sell/lease market and procedures. He has helped us three time so far and will certainly ask for his help on any future Chicago real state investments." "Guido made me feel like his number 1 priority was finding me a home! He is always happy to chat about a property any day or night and is extremely proactive. He helped me each step of the way as it was my first time buying a home. I couldn't have had a better experience with an agent!" "As always, we could not have gotten this deal done without Guido. He is a master of relationships and is the glue holding every closing together. We couldn't be luckier to have him on our team!" "Fantastic start to finish experience. Guido was knowledgeable, prompt, and friendly. During the final walk-through, he found an issue with the bathroom and diagnosed the problem, which took 3 different plumbers to figure out themselves. Guido is exceptionally communicative, and I'd give him my highest recommendation." "Guido did a great job finding a couple of properties that matched our specifications, and his input was very helpful, especially as we are first-time renters. He navigated the process well, was fun to work with, and helped us find a great apartment." "Guido was an excellent choice when I decided to buy my condo, Guido was always reachable and always willing to answer any questions. Guido was always listened patiently and professional. I highly recommend and will recommend Guido to anyone." "Guido is extremely knowledgeable and professional. He patiently listened to all of inquiries/concerns and his responses were detailed, knowledge-based, empathetic and without delay. His amazing customer service skills and knowledge is impeccable! He’s definitely my Chicago-land broker of choice! I highly recommend his professional service to others!" "Guido was very proactive in helping secure a rental unit for me. Once I selected the properties of interest within only a few days he managed to set up a dozen viewings over two consecutive half days. His critical eye and understanding of my tastes helped me to choose the best one. I had a lease in a beautiful apartment within a week. It was very efficient." "Guido was great to work with. From a simple online question, his initial research and response before we had even met, won my wife and me over. Five months later we're in the single family home we'll be raising our family in and received full ask on our previous home. If we could work with Guido again, we definitely would." "Guido is amazing. He was (and continues to be) incredibly attentive, prompt, professional, and - most importantly - patient! Guido anticipated our needs and worked efficiently to secure our offer - we didn't have a lift a finger! We will certainly be sticking with him when it's time to find our next home!" "Guido was a fantastic agent and we couldn't have been more pleased. We had been working with another agent that was not hitting the mark and met Guido when we were continuing our search on our own. Immediately, we noticed his attention to detail and advocacy for us and from there we committed to working directly with him. He brought us fantastic options that exactly met our needs and within our first trip out with him we were thrilled to find a place we loved! Would highly recommend and look forward to an opportunity to work with him again!" "Guido was extremely easy to work with and did a great job finding the right place for me!" "As always, Guido is the driving force and glue that keeps the deal together. We actually could not have closed the deal without him! He truly is the leader of our power team. His care and hard work are invaluable. We could not be more excited to have him on our team and we are excited to grow our business with him going forward!" "Guido is an extraordinary realtor. My husband Jose and I worked with Guido about 8 months. We found the place we wanted. Guido exceeded our expectations and then some. He knows the market very well. He is very attentive, courteous & extremely professional - we felt extremely comfortable working with Guido. I would not hesitate to recommend him to any looking buyer or seller in the market. If you ask me to work with him again, my answer is YES! Thank you, Mrs. Sandra C."
"Guido was the agent for renting out our property. He did an amazing job. The listing was very strong, an he found us a tenant very quickly. He devoted a lot of time, and couldn't have done a better job. I highly recommend Guido." "Guido has been very easy to work with, friendly, helpful, and always quick to respond!" "Guido has done an amazing job. Gathered needed information and shared them instantly. He was very supportive with navigating through the papers. Explained everything in detail. It's been a true pleasure working with him." "Guido sure knows how to close! (And you know we mean it because we keep referring Guido to family and friends !)" "As a first time buyer looking to purchase a multifamily property with a complace FHA 203k loan, I relied on Guido's experience and knowledge to smoothly get through the buying process and close on a home." "Guido was excellent. We couldn't have asked for a better agent. He showed us a lot of places, had great ideas and advice, and guided us through the process very well. He devoted a lot of time, and was always available. The inspection was quite involved, but Guido oversaw the whole process expertly. We will definitely recommend Guido to our friends and family." "This short sale was the mother of all painful short sales. Guido stood by me throughout the approximately 2 years that it took to close. He is extremely responsive. He moves other stakeholders in the deal to act. He is clearly a top notch real estate agent! No ands, ifs or buts." "We are definitely satisfied beyond compare with the help and guidance of Guido in finding our first home. From day one all the way til closing, he is always at your service. Highly recommended to anyone looking for their property. -Katrina & Rydell"
"This is the 3rd time that Guido handled my real estate transactions (2 purchases and 1 selling). Can't ask for better agent. He went above and beyond, always reliable." "Guido is simply the best. He went above and beyond for us to get our deal to the closing table and we could not be happier to have him on our team. He was truly the driving force behind making our deal happen and securing our property. He is a top-notch broker. We will no doubt be working with him for a long time. We honestly could not speak any higher of Guido, thank you for being amazing!" "Guido was excellent! He walked me through every step of the home buying process. It being my first time buying a home, Guido had expert knowledge on everything from putting in an offer to the closing. Rain or shine, Guido was there showing me listings of properties that met my criteria. Thank You again Guido! Hope to do business with you again!" "Guido is smart, friendly, and a fantastic communicator. He was on top of every detail and always there for us when we had questions. We could not have asked for a better broker!" "Guido goes above and beyond the call of duty. Whether he is on the sell-side or the buy-side of the transaction, he remains vigilant throughout the process. He sets the highest possible standard for himself and exceeds it, which is so unique in this industry. I will definitely be working with him in the future." "Guido is a dream to work with. He is extremely knowledgeable about the local market and about real estate in general. Guido put in the extra effort to keep me updated every step of the way and made himself available for any and all questions. He had solid recommendations for painting and repair services that really made the entire process easy for me as the seller. I will certainly work with Guido for future purchases and sales." "Professional, efficient, and courteous. I believe he always does his best for his clients." "Guido has helped me find two apartments in Chicago and it's always a pleasure working with him. I am impressed by how quickly he responds to questions (and how patient he is since I have a lot of them!). I wouldn't hesitate to recommend him to others seeking to rent or buy in Chicago." "I am immensely grateful to have had the opportunity to work with Guido. I started my home search nearly a year ago and through this entire time Guido has been incredibly patient, supportive as well as encouraging. When I thought I would never find what I was looking for, Guido was the most encouraging. He sincerely makes you feel like your individual home search is the utmost important search to him; he made himself available at all times and was flexible to my schedule. He made the process as seamless as the home buying process could really be and now I can officially say that thanks to Guido, today I became a HOME OWNER! Guido, there aren't many words that can express my gratitude to you and your team, your professionalism and dedication distinguish you among the rest. I have come to consider you a friend and look forward to working with you in my future (and second) home search!" 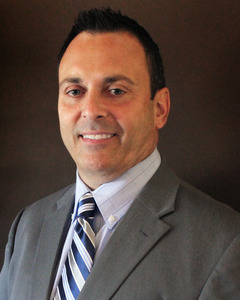 "Mr. Piunti is extremely friendly, professional and well organized. I was unsure of where my choice to live would be, but Mr. Piunti was patient with me and gave me enough time and information to make my decision. I love my choice! I would highly recommend Mr. Piunti!" "Guido came highly recommended to us through our mortgage lender and didn't fail to meet the high expectations set for us! He was great throughout the entire process and always very responsive to our questions or concerns. He did a great job showing us several properties in a short amount of time. We would definitely recommend Guido and At Properties to our friends for future purchases." "Guido helped us close the deal in a timely manner and acquire the property." "Guido is a very patient and knowledgeable professional. He helped us not only on the search for our new home but also guided us thru a very complex set of real state transactions.It was a great experience and I recommend his services to anyone looking to buy or sell real state in Chicago." "Guido has done an exceptional job in helping me find my first home. I consider him a good friend as well as broker and plan to continue working with him throughout all of my future real estate endeavors." "Guido has been very responsive to our requests. He's always remained professional, pleasant, knowledgeable and never pushy, which I appreciated. We changed from purchasing to renting a property, and he never judged that choice or tried to change our minds, but continued searching for properties that fit our ever-changing criteria. I liked the efficiency of scrolling through the properties he sent , the ease of choosing the prefered ones. He was very helpful wuth paperwork at the end, streamlining the process between us and the landlord. We will definitely consider choosing him again if we choose to buy in the area." "Guido was very persistent and thorough in his search while helping us select our place. Very amicable personality and fun to work with." "Mr. Guido is excellent realtor. he is very patience and efficient and prompt in replying your message and answer your phone call. I highly recommend him.Yasmin Kizilbash"
"Why is there 5 stars?? Guido deserves 10 stars. His penchant to detail, tolerance, demeanor, and flexibility are in words we cannot explain. We worked with other realtors in the past, but Guido went above and beyond for us. His rapport building was more of a friendship in which we never felt pressured. His professionalism is out of this world. @properties is very lucky to have him, a true asset. And we look forward to working with Guido in the future for our next purchases." "As first time homebuyers, Guido did an amazing job walking us through the process. He provided us with excellent advice and was extremely easy to communicate with. Even though our budget was small, we never felt like we were less important because of it. I've already passed along his card to friends who are getting ready to buy and I would use him as our broker again in a heartbeat!" "I've dealt with a number of realtors in the past, Guido is the absolute best. Kind, attentive, knowledgeable and leaves you feeling like you're in good hands.When we purchase in a year, he's absolutely our man!" "As a first time home buyer, I was not sure what to expect in my search. Guido was a fantastic help who made the entire home buying process enjoyable and made sure to take care of anything I needed. During my search, he was detailed and made note of things I liked and disliked so I could find my ideal home. By the time we got to closing, everything was relatively painless because of Guido's expertise and guidance. In the future I will always recommend Guido and @Properties for anyone looking to buy a home." "I contacted @properties after being blown off by agents at other companies for assistance in being shown rental properties in Chicago. From start to finish my experience with @properties was phenomenal. Guido was extremely prompt, proactive, and professional in responding to my questions, assisting me with my search, and setting up showings. I felt very comfortable with him throughout the process, and really appreciated that he also had a sense of humor! (I consider that a necessity when navigating the Chicago market). I wouldn't hesitate to recommend Guido to anyone, and will definitely be contacting him again when I'm ready to buy." "Guido helped me a lot to buy my first home in US. He was very easy to work with, knowledgeable and experienced in this business. He is very good human being and friendly. He made this process smooth which i was not thinking initially by co-coordinating on time with everyone.I will surely recommend everyone for his services. Thanks Guido for all your help." "Guido is everything that you want in a broker. He's responsive, honest, and highly knowledgeable. He has a strong sense of the market and gives good, timely advice. I would definitely recommend working with him." "Guido is an excellent agent. He is professional, friendly and kind. Although he has many listings and buyers, he always responded to my inquiries immediately. He made me feel like that I was the only one he was helping at the moment. Guido went above and beyond his role as an agent. He made sure that everything was done properly. He was present at 3 ( I had to repeat) inspections even though it was pretty far away from his office. I an very grateful to Guido." "Guido has been amazing helping my husband and I through the process of renting a home. He is very professional, proactive, and prompt. Not only that, he is very knowledgable and took the time out to understand what we wanted. We are looking forward to working with him again once we are ready to purchase!"